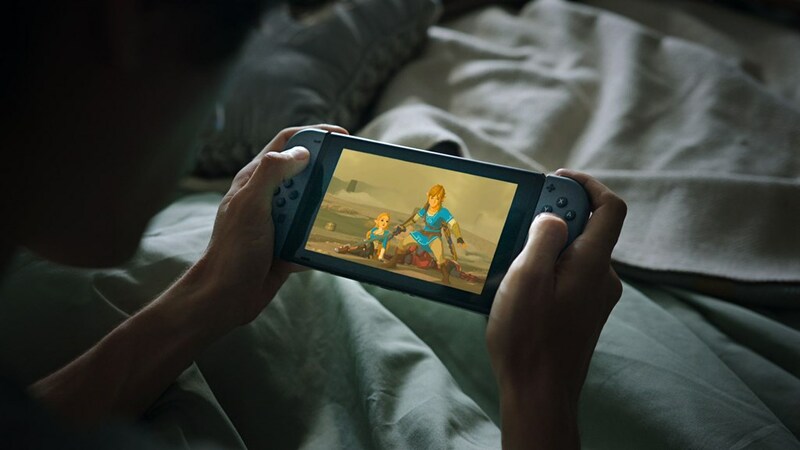 The Nintendo Switch appears to be what Nintendo needed to get itself out of its funk during it’s launch, you might be asking yourself “what else is there besides the Legend of Zelda: Breath of the Wild?” I’m glad you asked that question eager young space cadet! Nintendo isn’t just ringing in a new system in the Switch. They’re also keeping the Wii U alive or at least on life support with the likes of the Wii U Virtual Console, the eShops on the 3DS/Wii U. Before I move on, an update will be needed on March 3rd for the Switch to access the eShop but that shouldn’t that too long so onto the material! Let’s dive right into the fun with the Legend of Zelda: Breath of the Wild. If the returns online are any indication, then Nintendo has a real winner on their hands. An open world Zelda game that you can literally that anywhere you want. I was able to play the Wii U version at E3 last year and it was really something special. I’m hoping the controls have been fixed a bit because they were a little over complicated then but that was almost a year ago. There will also be an Expansion pack for the game that will add even more to an already massive game. More to explore and to quest, sign me up! You’ll be able to get Switch games in physical form as well as digital from the eShop. The likes of 1-2-Switch, Snipperclips-Cut it Out, Together! Shovel Knight: Specter of Torment and Treasure Trove, Just Dace 2017, Super Bomberman R, I am Setsuna, and Fast RMX. If I were recommending any of these games to buy I would recommend Shovel Knight Treasure Trove because it has the previous DLC and Spector of Torment too. The 3DS eShop and the Wii U V.C. aren’t getting left out in the cold either. Story of Seasons: Trio of Towns is similar to Harvest Moon where you can simulate/write your story. Dungeon Explorer was an action RPG for the TurboGrafx-16 where 5 players could play at once. Neutopia, another RPG for the TurboGrafx-16 has you play the role of a country boy trying to rescue the princess. My Nintendo will also be running discounts on certain games like they have been doing as well as making a Legend of Zelda: Breath of the Wild Mini Guide available for Gold Points. It’s going to be a fun time to be a Nintendo fan and things get kicked off with the Legend of Zelda: Breath of the Wild!